Members of The Grass Gals crew with 'Ray' the bullock, who will be up for grabs at the charity auction in Cashel Mart on Saturday. 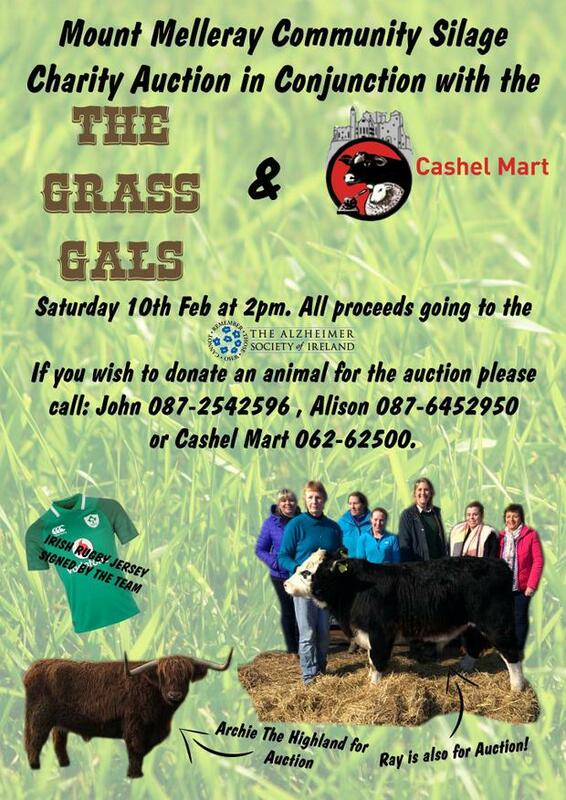 With a bullock named after Ray D’Arcy and a signed Irish rugby jersey up for grabs, Cashel Mart and The Grass Gals crew are hoping to raise thousands at their charity auction this weekend. Cashel Mart and The Grass Gals are hosting a charity auction this Saturday, 10 February at 2pm in Cashel Mart to raise funds for The Alzheimer Society of Ireland. This follows The Grass Gals successful fundraising weekend in Mount Melleray, Co Waterford last August, where they raised more than €14,000 for the charity. Organiser John O’ Brien told FarmIreland that a jersey donated by the Irish rugby team and a three-month-old Hereford bullock, named after TV and radio presenter, Ray D’Arcy are among the star attractions that will be up for grabs on Saturday. “The Grass Gals picked the name Ray D’Arcy. I’m none the wiser as to why they chose the name. It’s probably because he’s popular on radio and television,” said John. 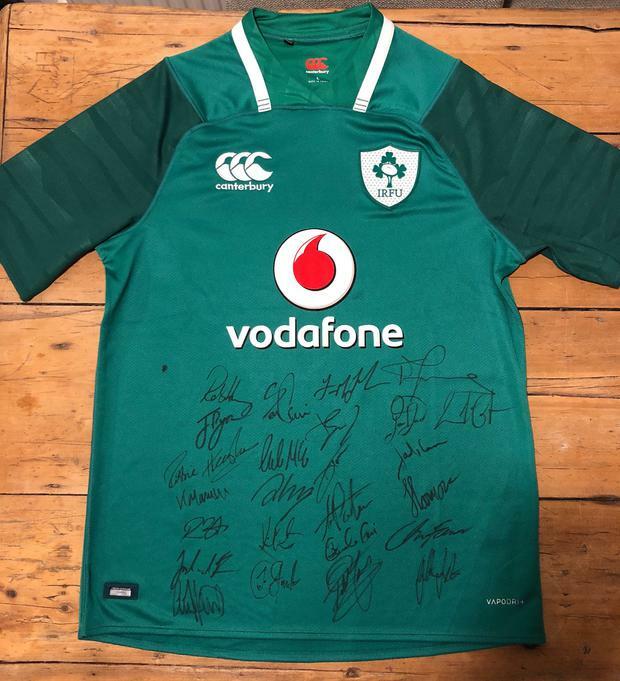 John and Cashel Mart Manager, Alison de Vere Hunt added that they hope the big rugby match between Ireland and Italy on Saturday will make the jersey an even more lucrative item at the auction. 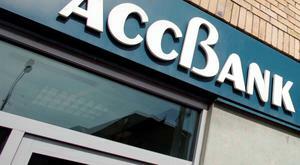 “We’d be hoping to get €1,000 or more for the jersey as we’ve got a lot of interest so far. It’s signed by the entire current team and most of that team would’ve been part of the historic win over the All-Blacks in 2016,” said Alison. 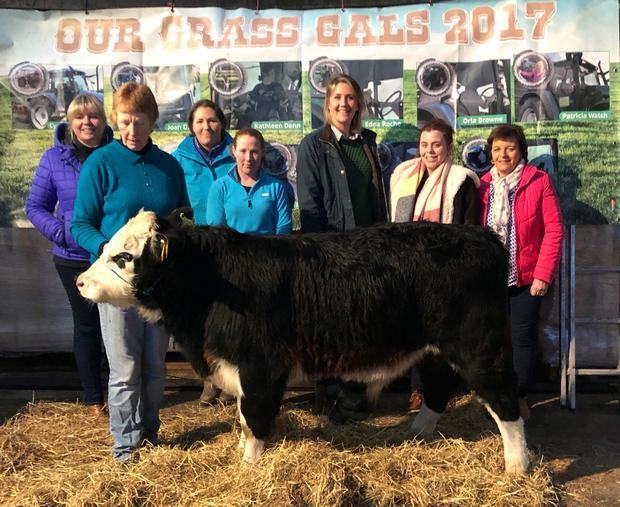 According to Alison among the 30 animals on offer on Saturday, include a Scottish Highland bullock called Archie, a six-month-old Friesian heifer pedigree and a number of calves and weanlings. “Farmers in the area have been so generous and we’ve gotten lots of calls about donations. We’re still getting donations and are hoping we’ll have a good turn out for the charity,” she said. 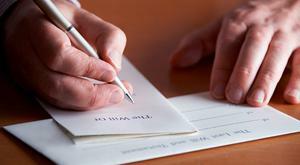 The Alzheimer Society of Ireland is close to John’s Heart as his father Michael suffered from the disease. John said that he is “well aware” of the stress the disease can put on families and pointed out that 100pc of the funds raised would go to the charity. Details of the charity auction which will be held in a bid to raise funds for the Alzheimer Society of Ireland.